We’re proud to announce that Proof of the sum has been asked to design the master plan of a new cluster on the Arenberg Science Park in Leuven. Arenberg Science Park wants to strengthen the high-tech region of Leuven by offering a stimulating environment and a well-developed infrastructure. In this way, the science park want to support technology companies, both startups and (international) R & D-intensive companies wishing to cooperate in the long term around research in the Leuven region. 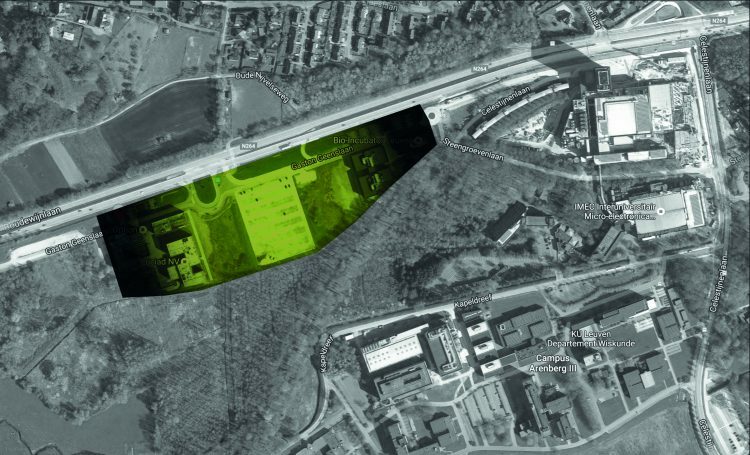 Proof of the sum and Arenberg Science Park want to use this master plan to strengthen knowledge sharing, creating networks among entrepreneurs, researchers and education, generating building flexibility and catalysing the surrounding scenic value.